For our Christmas Eve dinner Steve made carbonnade flamande, a Belgian/Flemish specialty of beef braised in beer and onion. We experienced this very dish, much to our delight, during our trip to Bruges this past fall with my niece Christina and her family. Needless to say, Steve was eager to try his hand at it. For the dish he searched out the availability of Belgian beer here in Grand Rapids and came up with a dark Belgian style Canadian beer from Martha's Vineyard, a fantastic local purveyor of all things culinary, including a vast selection of wine and beer from far and wide. 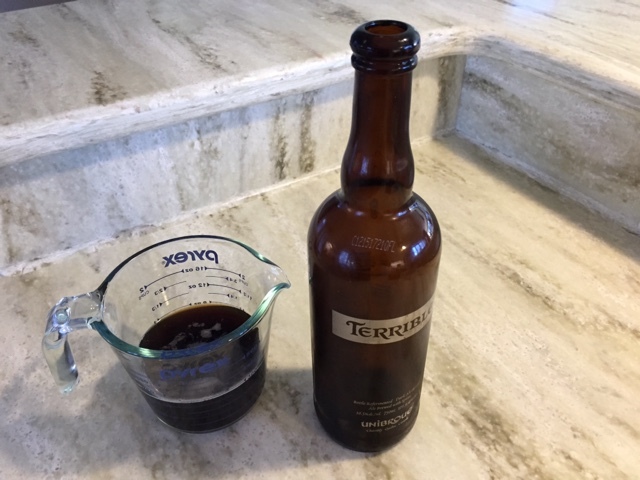 Don't worry - the name "Terrible" certainly did NOT indicate the flavor of this hearty brew! Since Steve didn't use the entire 750 ml bottle of beer for the carbonnade, I decided to finish it off by making beer bread. So, of course, I turned to Rose Levy Beranbaum's The Bread Bible. What a straight forward recipe! Easy to mix up, whether by hand or in the mixer, soft and supple and carrying the aroma of yeasty beer. This recipe utilizes the straight dough method, which simply means mixing the ingredients together, kneading the mélange to achieve a smooth, elastic dough, giving it a first rise, shaping a boule and then giving it a second rise. I know I've mentioned this in previous posts but it never hurts to go over it again - that's one of the ways we learn! Even though I do love kneading dough by hand, this time I decided to use the Kitchenaid. 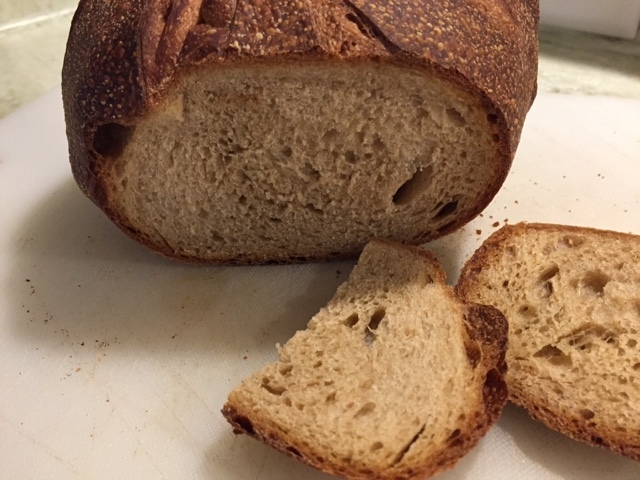 The process went like this: in the mixer bowl whisk together 4 g instant yeast, 12.5 g sugar, 380 g bread flour (leaving 2 tablespoons aside) and 30 g whole wheat flour; mix with the dough hook on low speed, add 255 g beer and mix on low for another minute. Let the mixture rest, covered, for 20 minutes then sprinkle on 8 g salt and knead on medium speed for 7 minutes. If the dough feels a little sticky, add in some of the 2 tablespoons of flour that were set aside for that very purpose. Place the dough in a lightly oiled bowl, cover and let the dough rise until doubled, about 1.5-2 hours. Alternatively, you can place the dough in the fridge overnight, which is what I did. It helps develop the flavor even more. On baking day I let the dough rise for a good 2-2.5 hours since it was cold coming right out of the fridge. 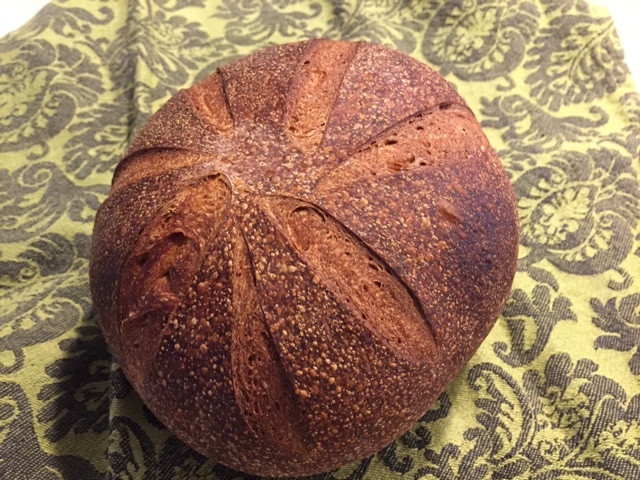 Then I shaped a chubby boule, placed it on a parchment lined sheet pan, covered it with lightly oiled plastic wrap and gave it another 1.5-2 hours rise. The baking process here involves creating as close to a hearth environment as possible. Place a baking stone or 1/2 sheet pan on the lower oven rack and heat the oven to 450ºF, giving it a good 45-60 minutes of heating time. In addition place a baking steel or cast iron pan on the oven floor which will be the receptacle for ice cubes that are thrown in when the bread goes into the oven. This creates a burst of steam, leading to a beautiful crust. NOTE: in my case I have a tray that slides right onto the under surface of the oven rack that serves as a receptacle for water or ice when doing steam baking. Pretty nice! Slash the dough in a pattern of choice and place it on it's sheet pan directly onto the hot sheet pan already in the oven. Toss 1/2 cup ice cubes onto the hot steel/cast iron and close the door! Bake for 15 minutes, reduce the oven temp to 400 and bake an additional 30-40 minutes until golden brown. Cool on a wire rack. 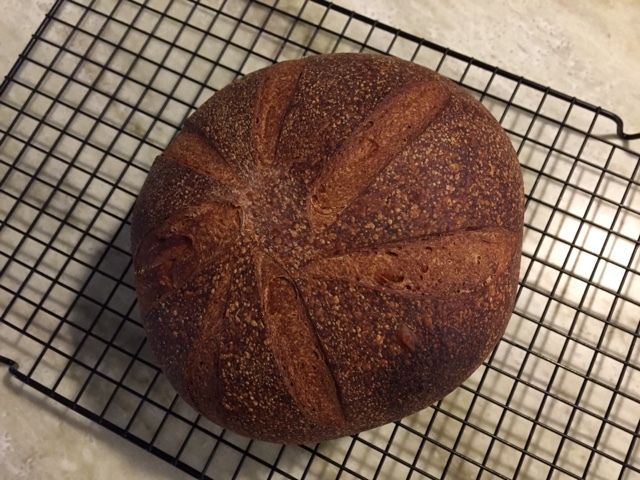 The aroma was heavenly, making it very difficult to wait until cooled to taste this baby. But wait we did and it was well worth it. Yay! 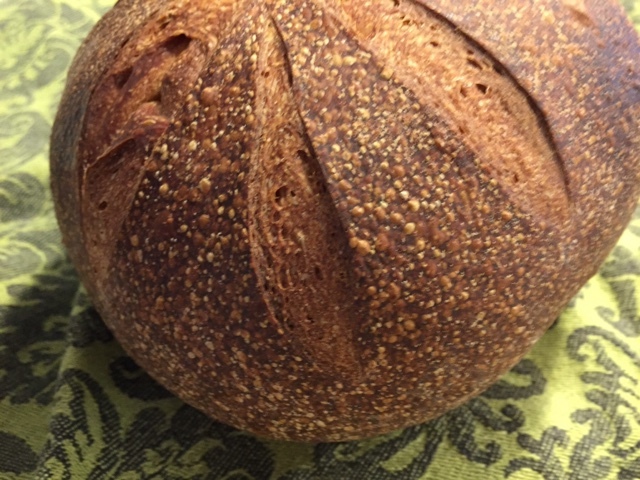 A crusty crust along with a tight, yet soft and oh-so-delectable crumb with a flavor reminiscent of molasses. So delicious!